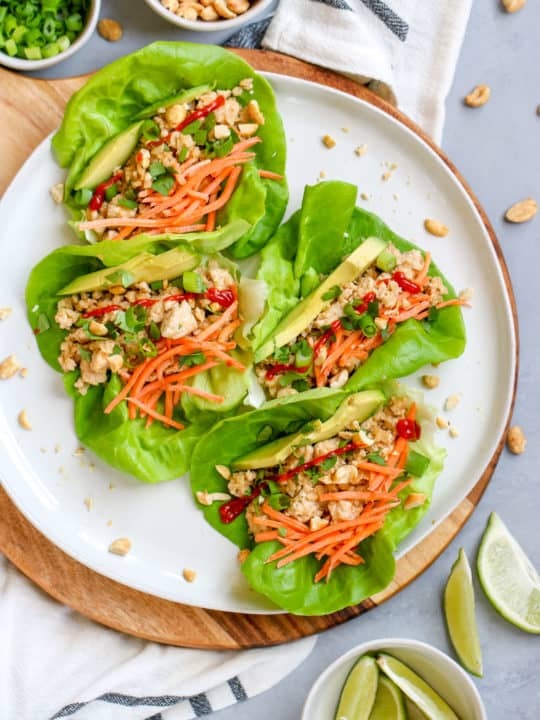 These Peanut Ground Turkey Wraps are so easy to throw together and full of flavor! Use all sorts of toppings to make them your own so even the pickiest of eaters will enjoy. 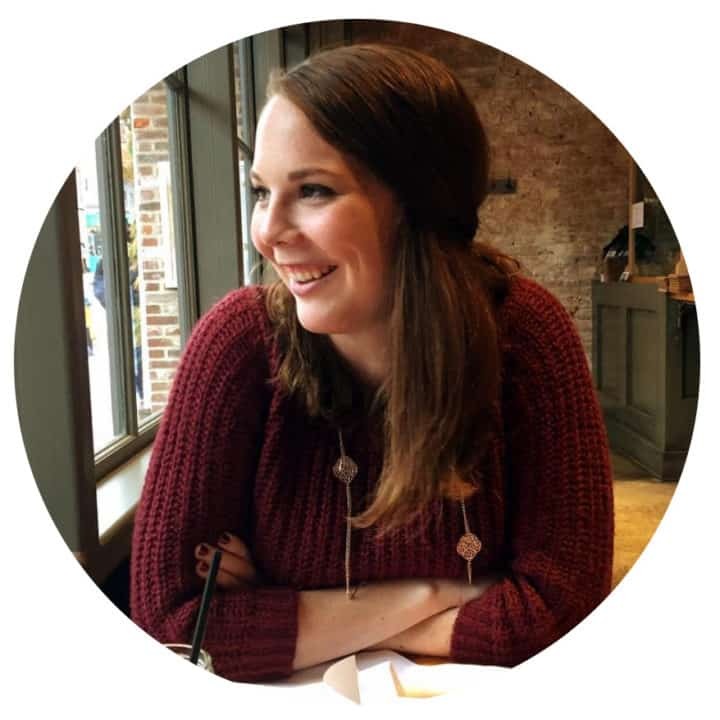 With Easter coming up quickly, the last thing you need to do is struggle to create a menu.That’s where I have you covered! 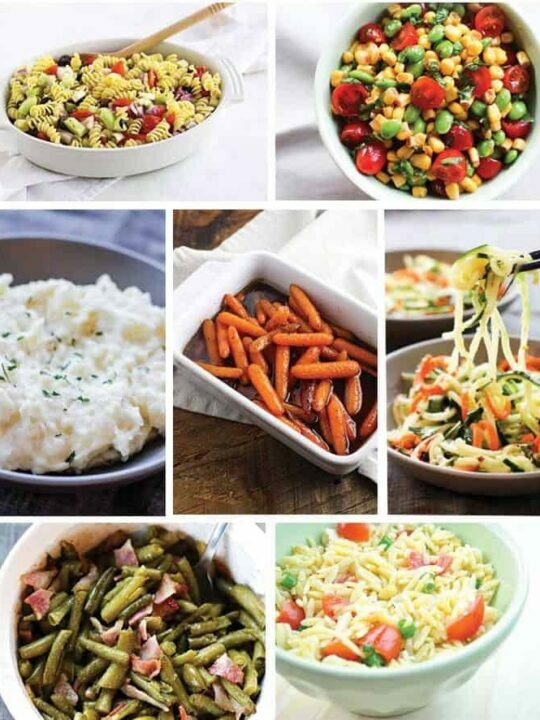 I have compiled my favorite side dishes that will work for any holiday menu. 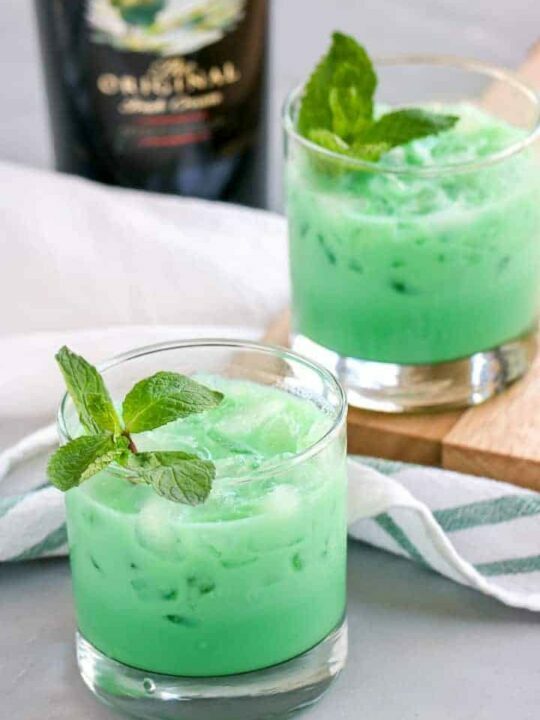 This Baileys Grasshopper is a perfect alternative to all the green beer and Guinness you’ll likely be consuming for St. Patrick’s Day. 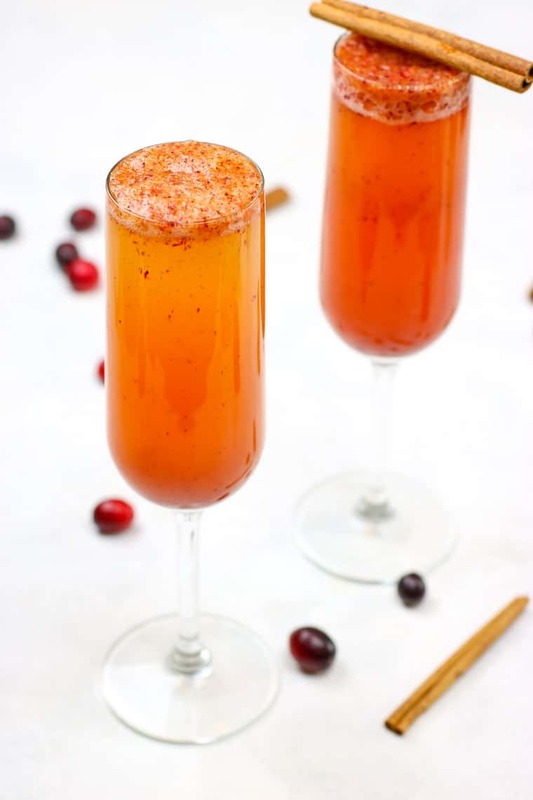 It’s a perfect drink for dessert that’s light and refreshing. These Guinness BBQ Ribs are so good, you won’t need a holiday or special occasion to make them. 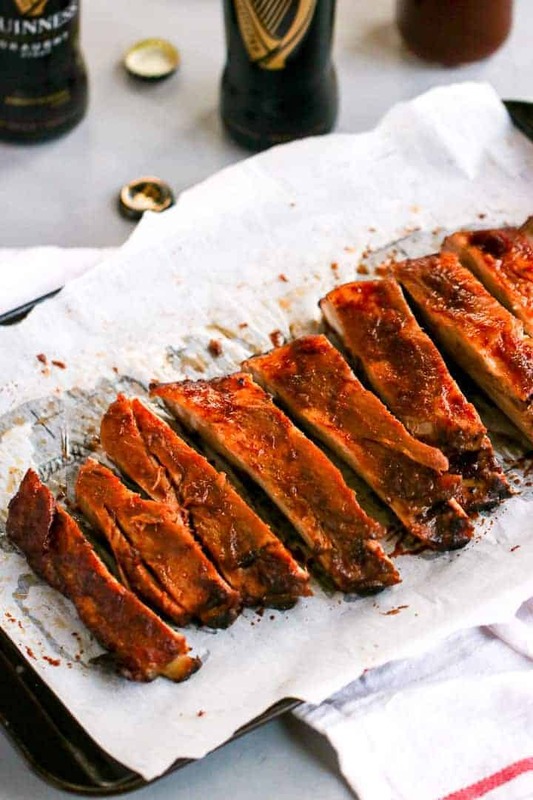 They’re cooked low and slow in the oven so you don’t need any fancy equipment to create fall-off-the-bone ribs. 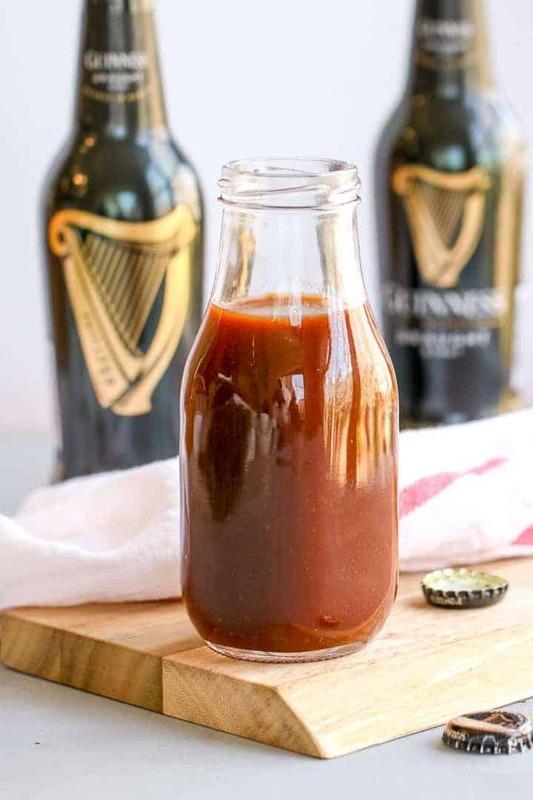 If you’re a Guinness lover, this Guinness BBQ Sauce will be a staple for your barbecues. It’s got a ton of layers of flavors that stay true to the stout. Add it to your ribs or pulled pork for an instant favorite! This Beer Cheese Dip is incredibly easy to make and only takes three ingredients. 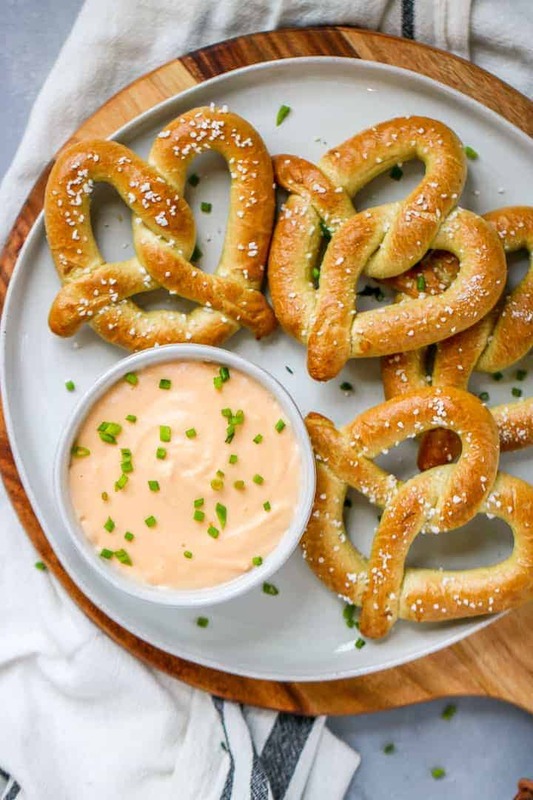 Serve it with some warm pretzels and you have an appetizer ready for any day. 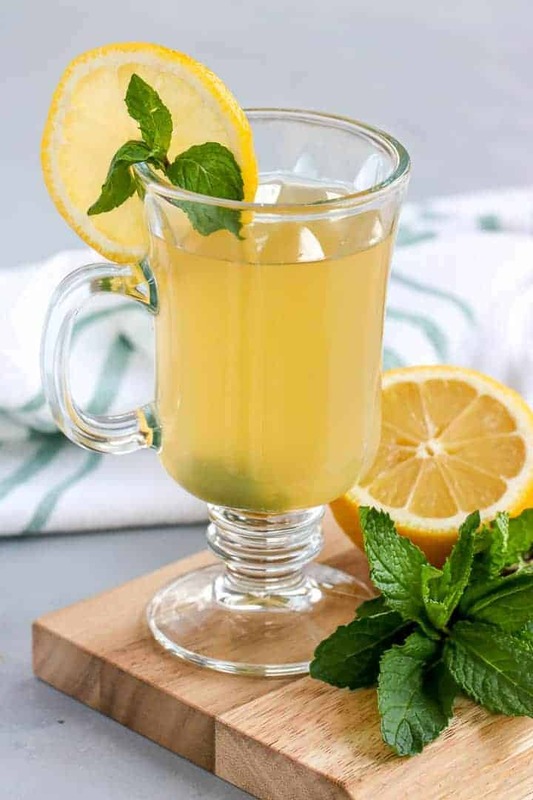 This Mint Hot Toddy is the easiest drink to make to keep cozy on a cold day. The addition of the mint helps with sore throats or stuffy noses so it’s also great for when you have a cold! 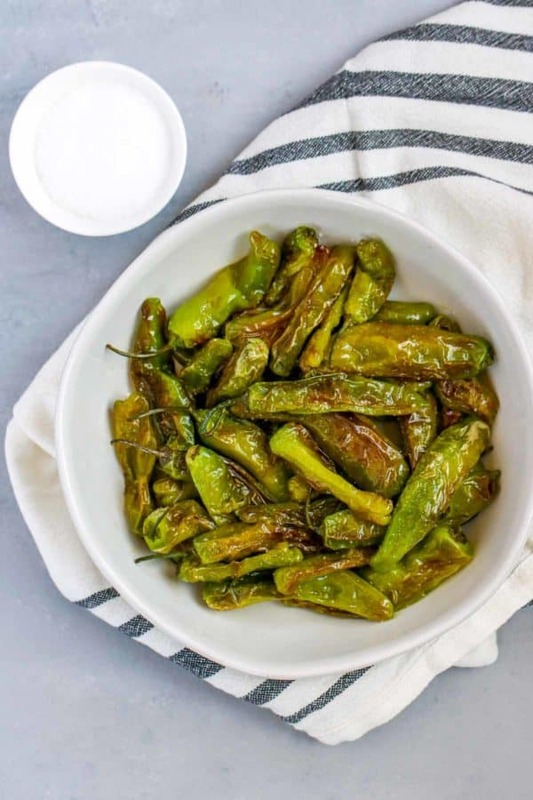 These Easy Shishito Peppers are so quick to make and the perfect snack for anytime. Anytime I find them in the grocery store, I’m sure to pick them up! Let your creativity run wild with all sorts of different toppings. It’s that time of year where gift giving and holiday parties are all around us. I wanted to get in on the holiday spirit that The Sweetest Season brings! 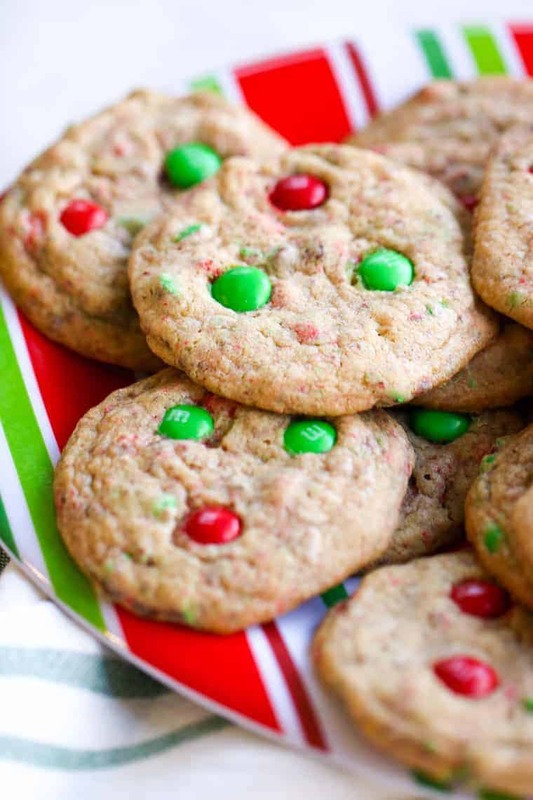 I wanted to share My Mom’s M&M Cookie recipe to contribute to the already amazing looking cookies this year.